Almost 13 years ago, I read Judith Shulevitz’s New York Times article Taking Back Sabbath and still today, it has a profound effect on me. As a society, we’ve put such an emphasis on work and being busy and this article reminds us of the importance of Sabbath, what "Sabbath" is and what it means in all of our lives - regardless of our faith background. Sabbath: a day of religious observance and abstinence from work. Simply a day when we don't work - all of us - at the same time so we can spend intentional time and create community together to remind us we are more than what we do for a living. 1. What is the best book you've ever read? The Bible. 4. You are sitting on a bench overlooking a gorgeous beach. You have the opportunity to have a long conversation with anyone living or dead. Who would it be? Founders of Karaitism [Nehemia Gordon and akham Meir Rekhavi] or Martin Luther. 7. It's been said that all great people can have their lives summed up in one sentence. How do you want yours to read? I set a good example for my children. 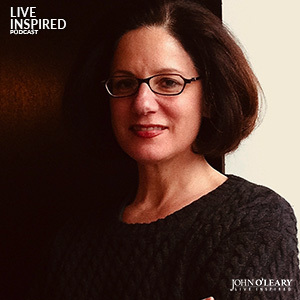 The post Live Inspired Podcast: Take Back the Sabbath (Judith Shulevitz #140) appeared first on John O'Leary.